Jewelry for the fun at heart. 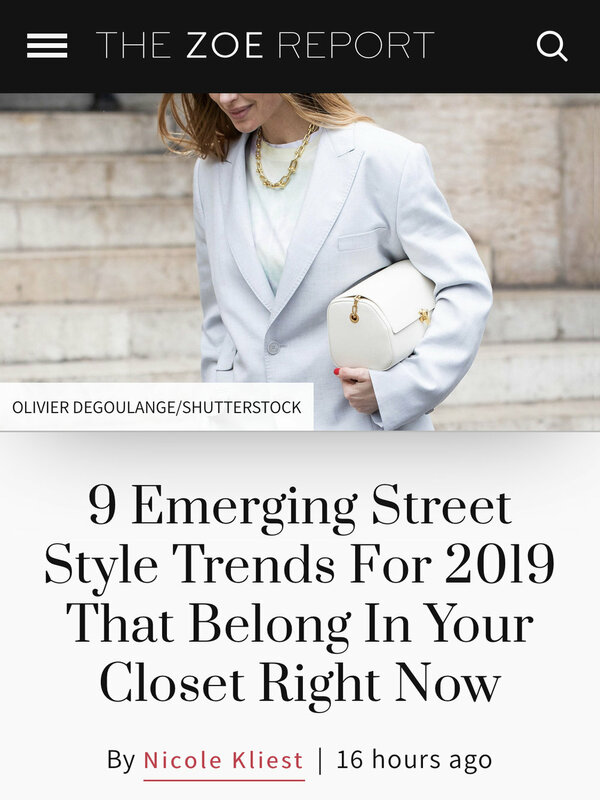 The Baroque Pearl Lady Earrings featured on the COVETEUR. 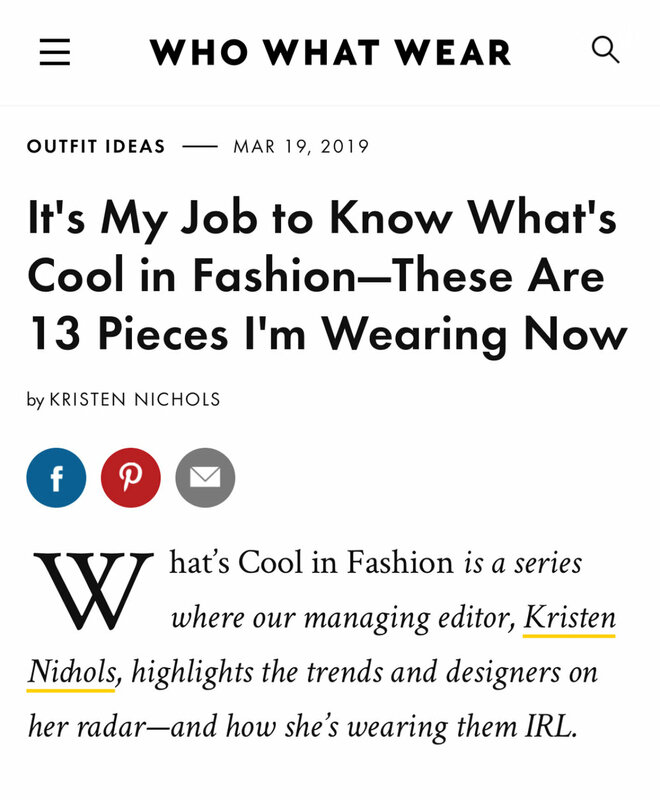 The Baroque Pearl Lady Earrings featured on Who What Wear, written by Kristen Nichols. 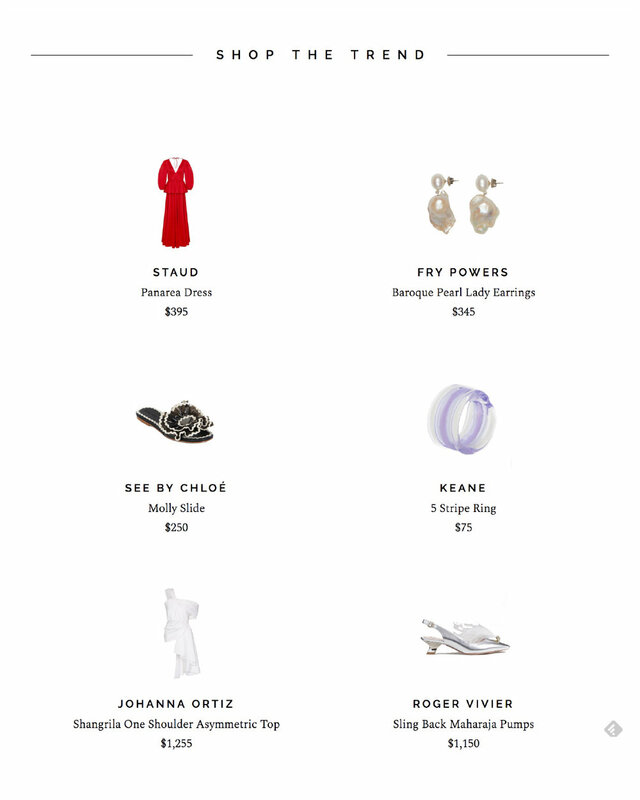 The Turquoise Pearl Ankle Bracelet featured on The Zoe Report, written by Nicole Kliest. The Rainbow Turquoise Bracelet featured on The Zoe Report, written by Nicole Kliest. 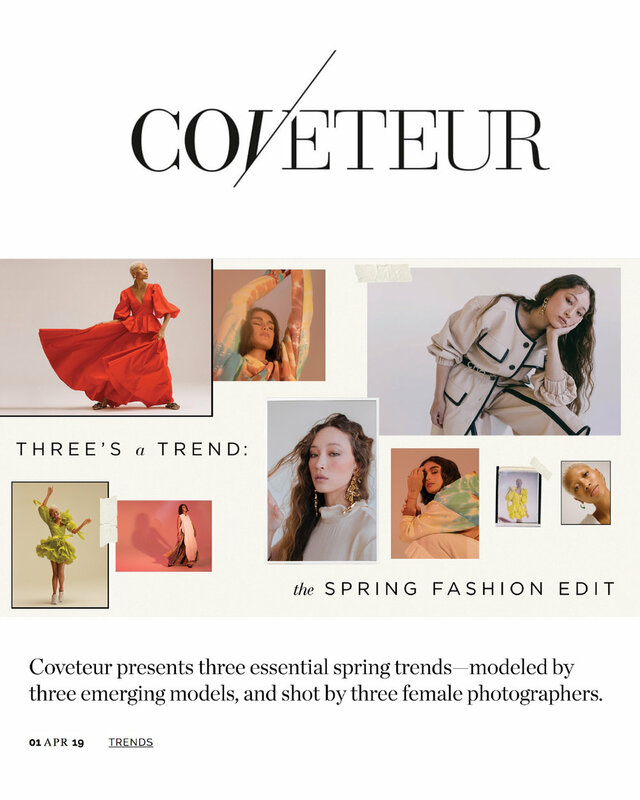 Haley Lu Richardson in the March issue of Cosmopolitan Magazine. Haley Lu Richardson photographed by Sami Drasin for Cosmopolitan. Styled by James de Molet. 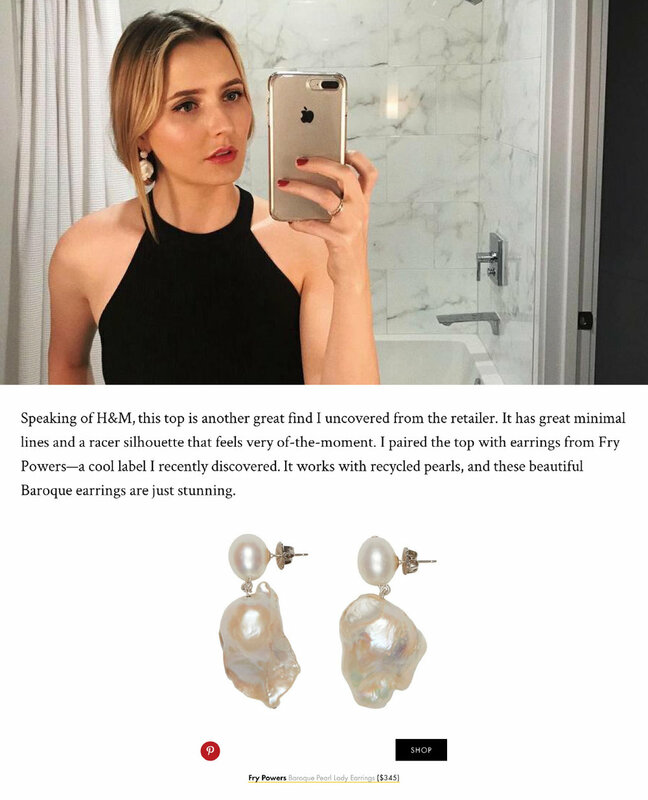 Caroline Daur (@carodaur) wears the Baroque Pearl Tonal Drop Earrings at NYFW. Photo by Phil Oh for Vogue. Photo by Olga Yavtushenko for L’Officiel.